You’re out there, friend, somewhere on the other side of this screen. I feel like I can sort of see you, maybe because we’ve been in this a while together. And maybe I sense that you are a little burdened, like me. Like maybe we’re mirror images, both wearing the careworn expression of people feeling a bit bent down by the heavy weight of worry. Like we both know where we’re supposed to take this burden — straight to Jesus — but we got a little lost on the way there. I was on the way home from church the other day, looking out on these farmfields. I felt heavy in my soul. Hurricanes. Fires. Earthquakes. So much pain, around the world. Meanwhile, people I love are hurting terribly. Divorce. Lost jobs. Abandonment. Brokenness of every variety. Earlier, in the sanctuary, the gospel was spread open on my lap. I had read every word with my own two eyes — four times — and I willed myself to feel peace, but I felt anxiety. I had a pile of stuff crowding around my heart, and the gospel wasn’t touching any of it. Not right then. But it would come later, on the way home. For the word of God never returns void. Out there on the open road from church to home, I remembered a June day in 2004, in the delivery room, when Anna was making her entrance into the world fast, like she was destined to be a sprinter. She came into the world so quickly, that there was no time for the guy to show up with the epidural. And then she reminded me how — a woman named Hope reminded me how to breathe. Hope breathed with me, as Anna sprinted her way into the world. Whatever we’re birthing? Whatever we’re carrying? Hope is a midwife, helping us to breathe. Repeat, as often as necessary. And again and again. There’s no shortage of oxygen, no shortage of God. I remembered that moment in the delivery room the other day — a day when this busted-up world made breathing feel hard. Hoping takes work. Hoping takes guts. Hoping is not for wimps. Hope is an aggressive move against the myth of scarcity — this myth that tells us that there’s not enough hope to go around, because of the prevailing hurt in the world. But that’s not true. There’s more than enough hope, because God is always enough. God is not a scarce commodity, and hoping in him is never wrong. Remember the thousands of people who had come to see Jesus on the hillside? The crowds grew hungry. The disciples assumed that there wouldn’t be enough food to feed them. The disciples believed the myth of scarcity. But Jesus produced the reality of abundance, dispelling the myths of not enough. In the end, everybody ate. Afterward, they took up what was left, and it filled twelve baskets full. The gospel is the story of abundance — an abundance of hope for us all. The gospel is the story of one Savior who remarkably came to die for all, so that no one would perish. He breathed his last, so we would breathe eternally — the breath of hope, the steady rhythm of heaven, alive in us. I’m delighted to be a part of a new devotional called A Moment to Breathe: 365 Devotions That Meet You in Your Everyday Mess. With 365 readings, each day begins with a passage of Scripture tells a story of everyday faith, and encourages you to take a moment to breathe with a simple but fun way to complete your day. 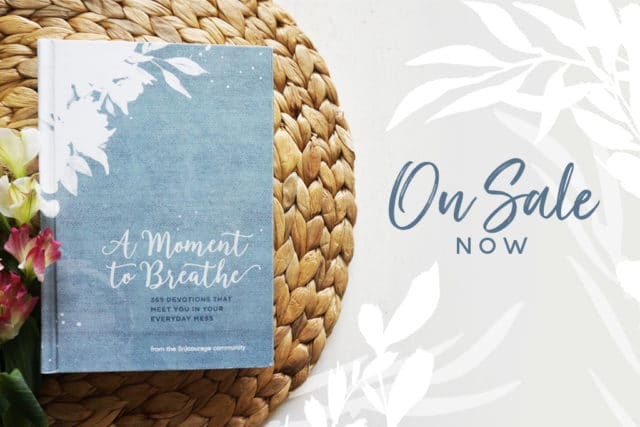 The book releases next month, but you can get a free 10-day sample of A Moment to Breathe today! Sign up for a FREE 10-day sample of A Moment to Breathe! Our featured writer this week is Rebekah. “I have come to believe that the secret is not in trying to be what we are not, but in embracing who it is that the Lord created us to be.” Such a powerful lesson… I encourage you to continue reading! Find Rebekah here. Hi Jennifer! I preordered this book from Lifeway, and they have a special limited time offer for a free mug with purchase. My blogging friend Bev is also one of the contributors. Can’t wait to read it and post a review on my blog! Blessings to you. 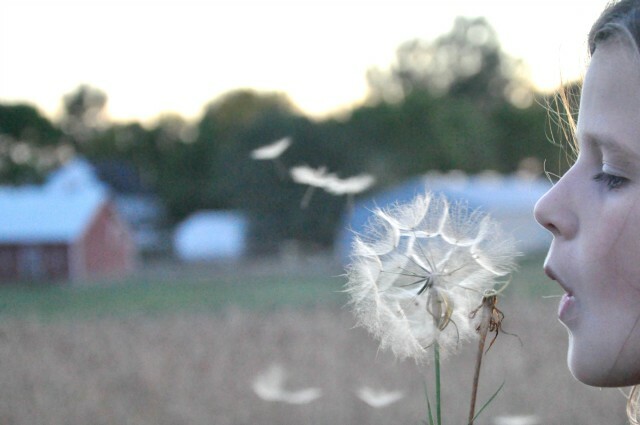 Hope is a midwife, helping us to breathe.Oh my goodness, how I needed this post. I need to remember that hope is what lifts me up when everything feels too hard. and I meant to add: we need each other to remind us to do somethng so basic as to breathe . I mean, really. True story. I like that name Hope. We all need a good midwife. . .(:at any age. A woman named Hope and #hopechangeseverything! Thanks for hugging me with your words today, Jennifer. I love this about you — that you are so relatable and make me feel understood. Is that selfish of me? Idk but I love it about you! We all need hope. And yes it is there, and I also feel ya — we don’t always feel it. Sometimes it like we pray and become more aware of how many other people need prayer, and it can get overwhelming. That is our flesh talking for sure. I love to think about the verse “abiding in Him so He will abide in us” — this helps me to get re-centered on God and hope. Love you friend! Such an exciting new project! I’ve always loved the reminder to breathe fully. 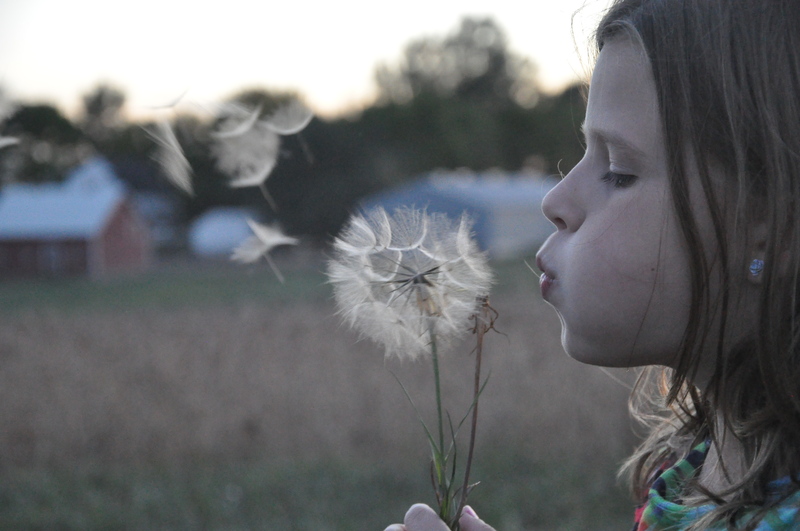 What a sweet reminder we do need to breathe. I believe we sometimes forget to pause and breathe in God. Goes so well with the series we are doing on my blog. Sharing to Facebook. Thank you for words. Reading your post reminded me to breathe, to take it all in, all of Him. Your words were calming and God spoke through to me. It has been a tumultuous week (I live in Central Florida). We are fortunate but still recovering from Hurricane Irma. Thank you for reminding me to breathe in the Spirit! Jennifer, thank you for always giving the gift of hope with every word you pen. It means so much to me to read your words of wisdom and hope. When I was young, for ten years of my life I wanted to die. Suicidal depression is a great burden. I couldn’t breathe. But somehow, by God’s mercy, I didn’t make an actual attempt to take my life, though I lived with the suffocating depression of wanting to. But God let me live, and brought me to Christ. I remember daily thinking, if I could just have the hope to go on, I’ll be okay . . . and God led me to Hope, Himself, the Lord Jesus Christ. He breathed His Spirit into me, and for the first time, my soul took its first real breath. As a singer, I know only too well that we need to breathe. And for our tone to be sustained, we must breathe deeply, diaphragmatically. So many people only breathe to a small extent of their breathing capacity–especially when it comes to their relationship with God. They are on life support and don’t even know it. Oh that I might breathe deeply of His Spirit, because He promises to support my every breath, and He gives me every hope in these dark, perilous times, because He gives me Himself. Oh, how I need to breathe in Jesus, just as you always do, dearest Jennifer! Thank you so much for this post. PS The photos of Anna are exquisite. 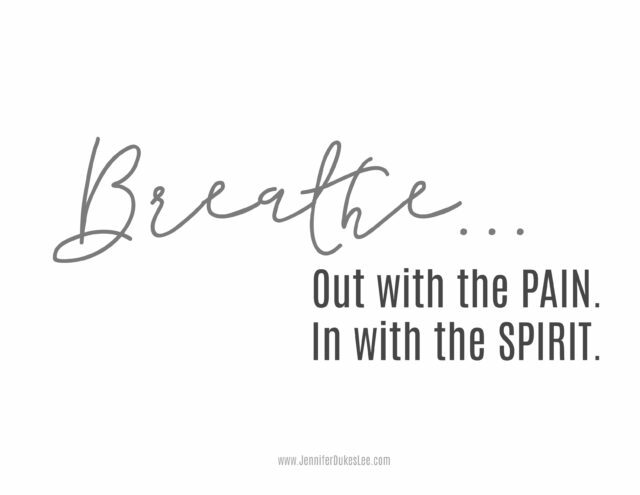 I was lying on on my hardfoam white roller thingy last night doing just that–praying in the Spirit, breathing in and out while my cares and concerns swirled around me. Jesus is at the center–holding me, holding you, holding us. That is all we have. Thank you for echoing the Spirit’s word to my soul. Exhaling now along with you. Thank you, Jennifer. 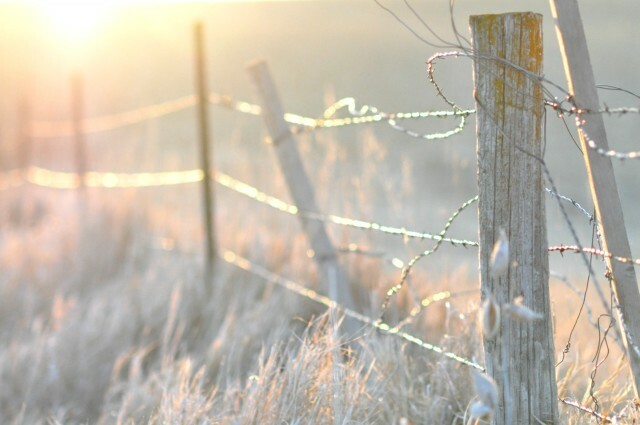 Thank you for encouraging my heart with this HOPE-filled post, Jennifer. What a beautiful lesson God gave you through a nurse named Hope. 🙂 We truly need hope in the midst of all the pain. Blessings and hugs! “Hope is a midwife, helping us to breathe.” And “Hope is an aggressive move against the myth of scarcity.” Jennifer, I will be thinking about these two profound (and beautiful) statements especially. Thank you, thank you. “Hoping takes work.” Never thought of that before, but of course you’re right. Hope is not a sedentary activity. Hope keeps turning its attention back to our God who is always enough. Hope grips his hand with the strength of faith–faith that’s been built up in His Word. Thank you for encouraging us to hold tenaciously to our abundant Hope, Jennifer. Jennifer, I love how the Holy Spirit reveals old truths in new ways. Your words did that here. What a great illustration of hope you gave here. Ironically, I read Sarah Grainger’s post on the myth of scarcity this week. Perhaps God is speaking to me?